SPACES, a subsidiary of International Workplace Group (IWG), formerly known as Regus, is setting up its innovative concept of co-working space in Belgium. Present worldwide, SPACES combines workspaces, meetings and relaxation, with the aim of facilitating networking between the various occupying companies while offering a wide range of services and amenities. 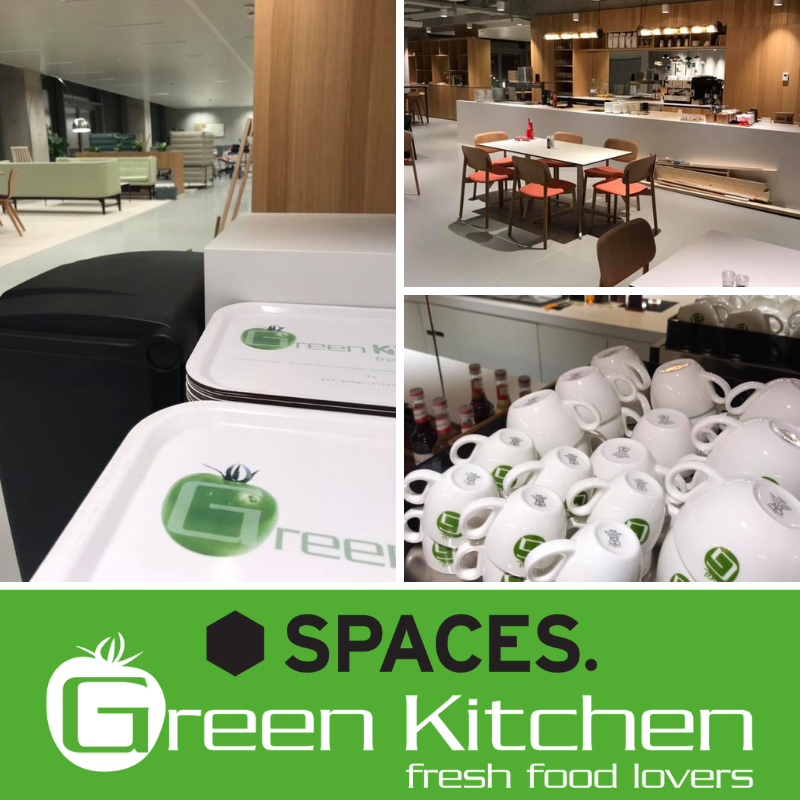 ATALIAN GREEN KITCHEN offers a fresh, natural, balanced and innovative catering concept for corporate restaurants and a daily delivery service at the workplace. Customer satisfaction is and will remain the priority of this partnership. The ATALIAN GREEN KITCHEN / SPACES partnership is another step in the growth of the ATALIAN Group in Belgium. 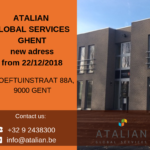 “ATALIAN wishes to distinguish itself by diversifying its services on the Belgian facility services market. The aim is to become an important and essential partner in multi-services. This project with SPACES is part of this strategy,” says Guido PERREMANS, Regional Manager Benelux – CEO Belgium. The project to open co-working 2.0 named SPACES in Belgium, is more than ambitious. More than a dozen new sites of more than minimum 3000m² are confirmed and will be ready by 2020. Offices, co-working spaces, business lounges, meeting rooms and Coffee Corners will be ready to welcome a new community of co-workers. So, SPACES becomes “The place to be” with a multitude of services and events for its customers. “A call for tenders was launched in March 2018 to select the best partner to manage our Coffee Corner“, explains William Willems, Regional General Manager Belgium & Luxembourg for Regus and Spaces. 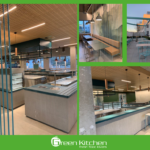 “Our choice has turned to Green Kitchen which will ensure all our sites in Belgium. This Belgian supplier has attracted our attention thanks to its fresh products, quality and its way of promoting short food supply chains. Mr. Lejeune, brand manager, is very attentive and flexible about our requests. A nice collaboration has just emerged with two already open sites: SPACES EU Belliard and SPACES Mechelen. The partnership between SPACES and Green Kitchen is ready for adventure!” William Willems concludes.